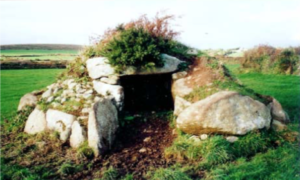 Entrance graves are chambered barrows that date slightly later than quoits, circa 3000 – 2000 BC, and may have descended from them. 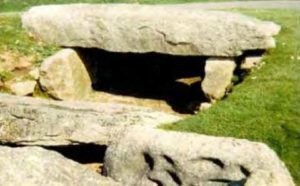 They are similar in structure but are smaller in size and low to the ground, often large enough for only one person to crawl inside. 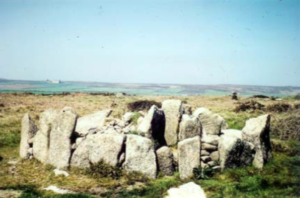 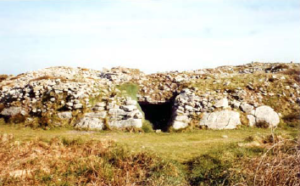 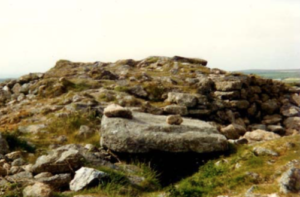 Entrance Graves (or Chambered Tombs as they are sometimes known) date from them Neolithic period (approx 3000-2500 BC), so it was probably constructed before the stone circle.